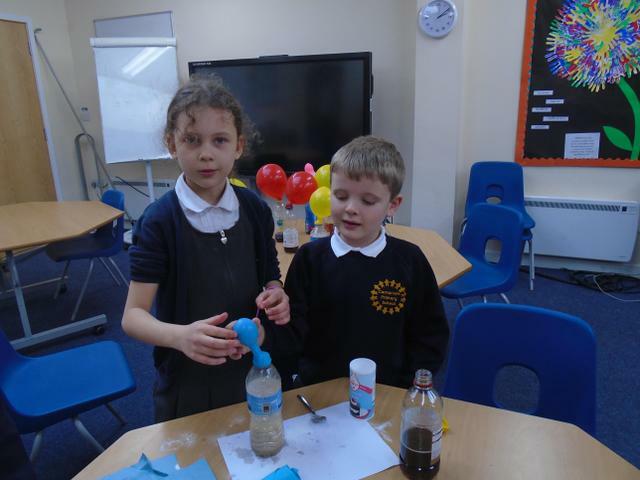 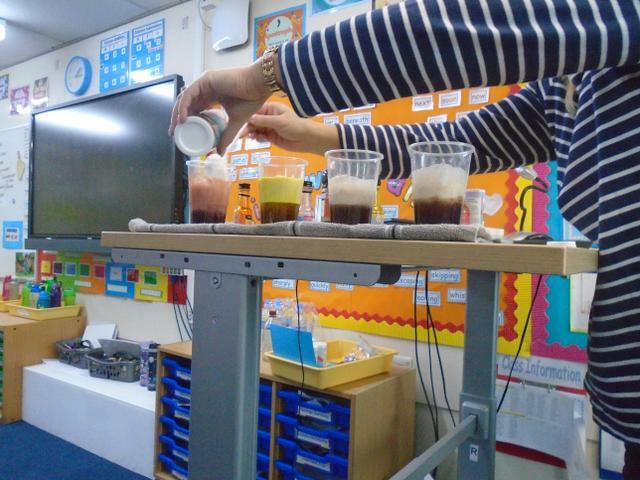 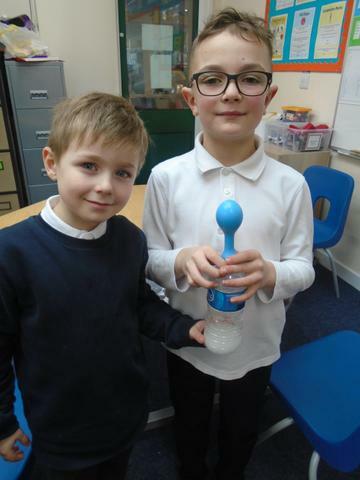 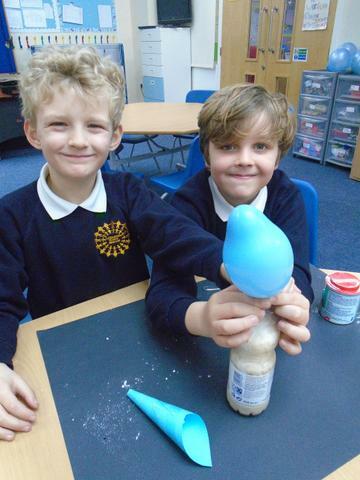 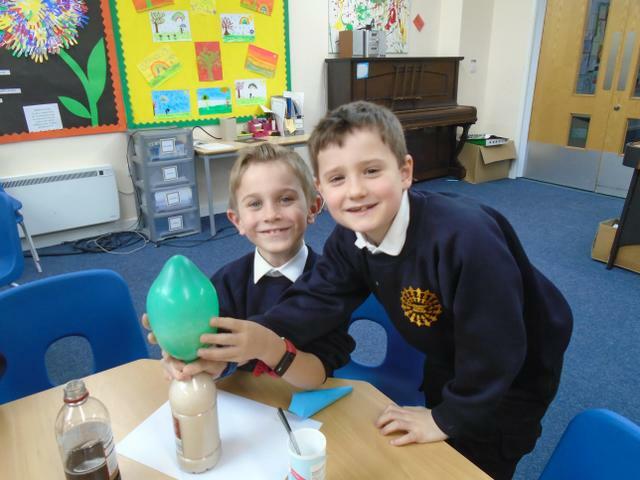 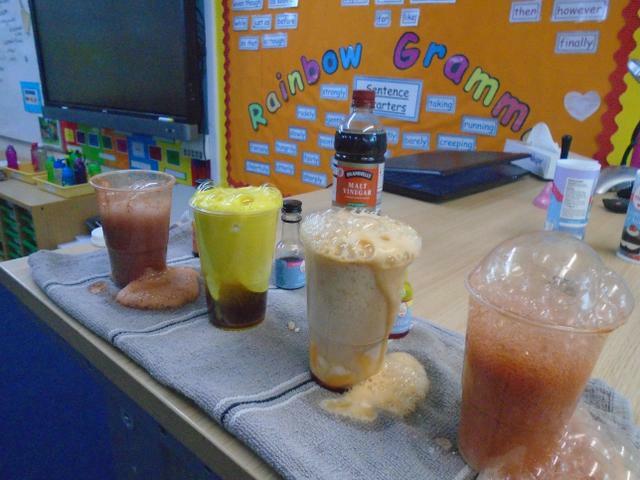 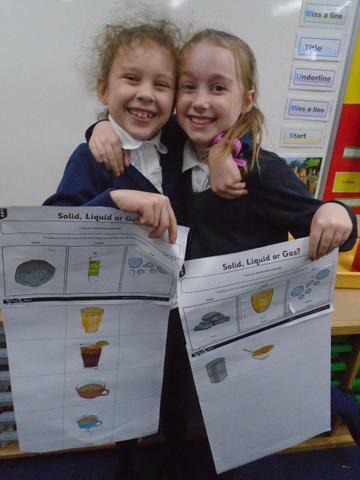 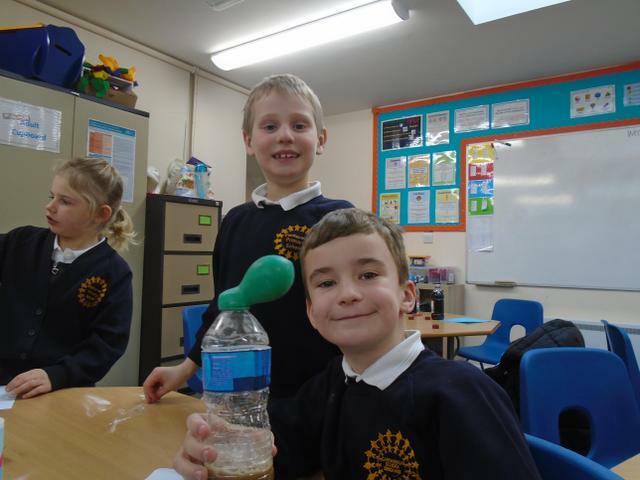 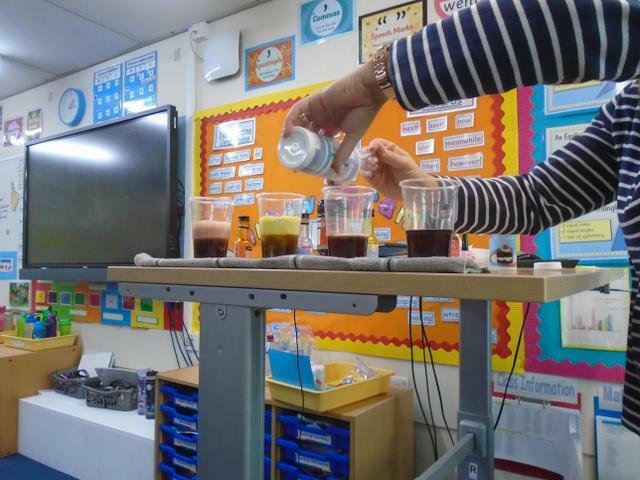 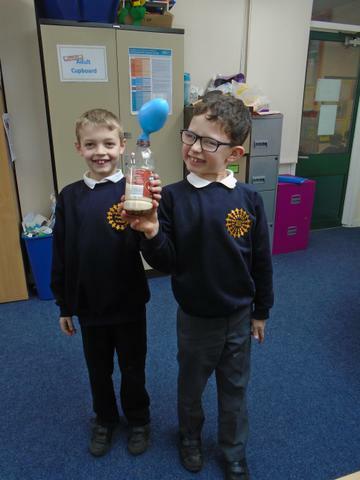 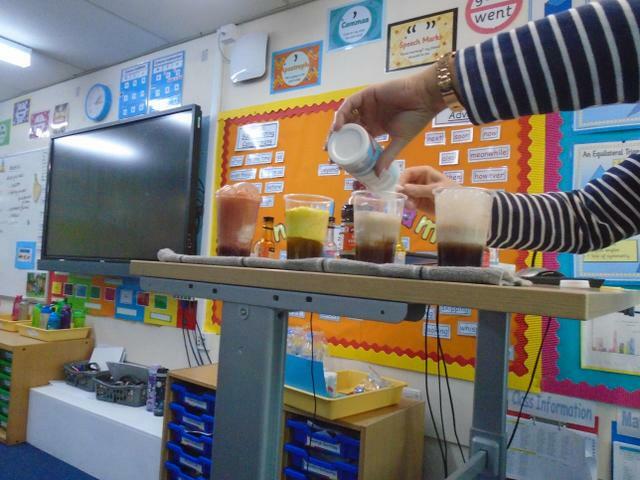 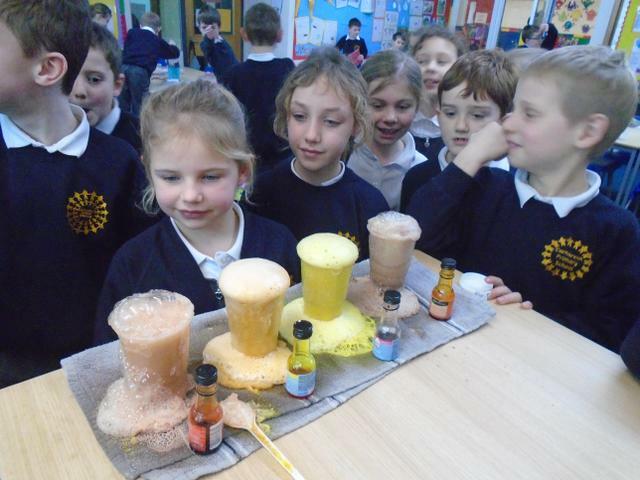 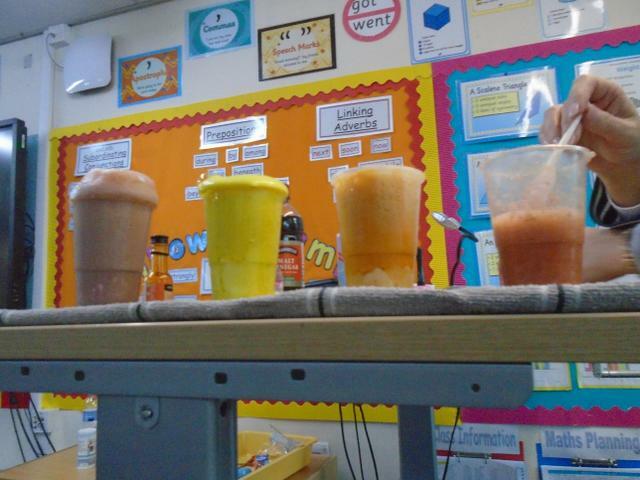 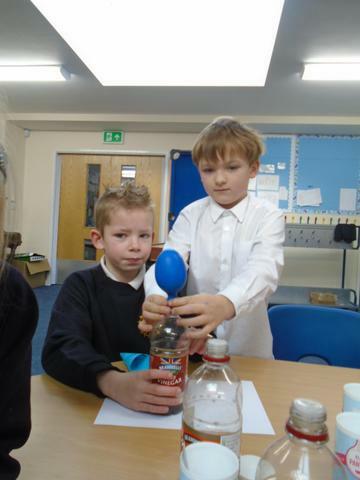 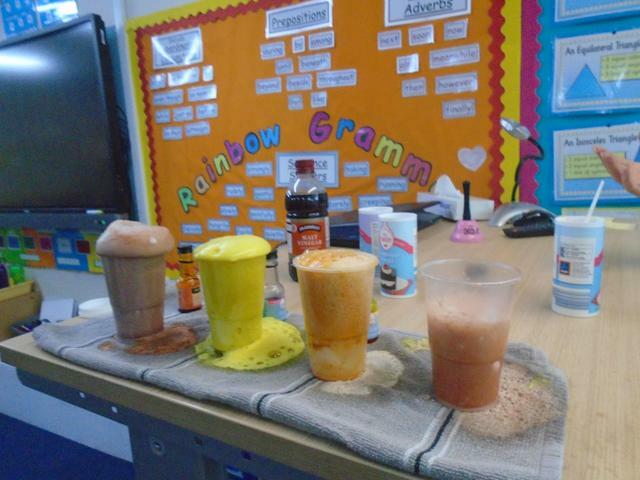 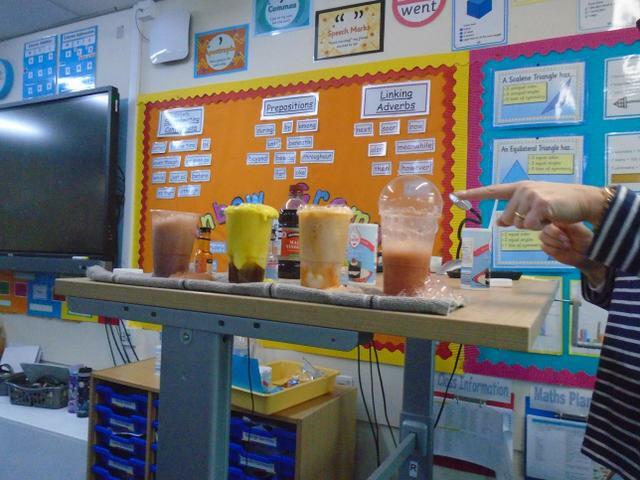 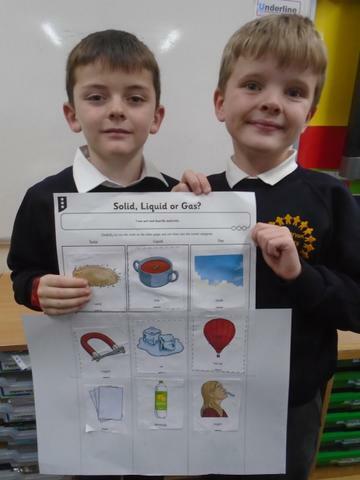 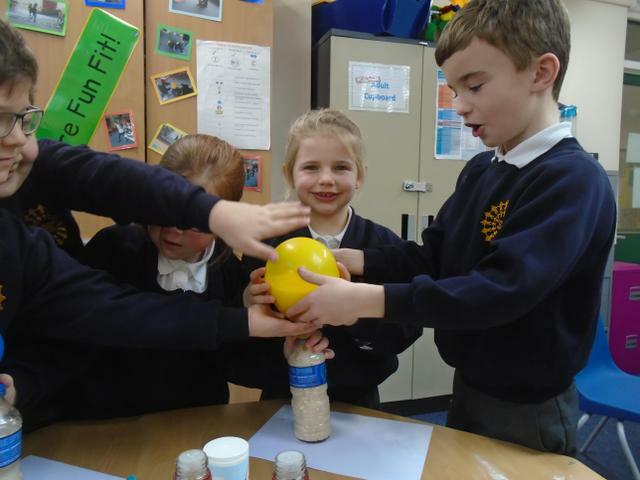 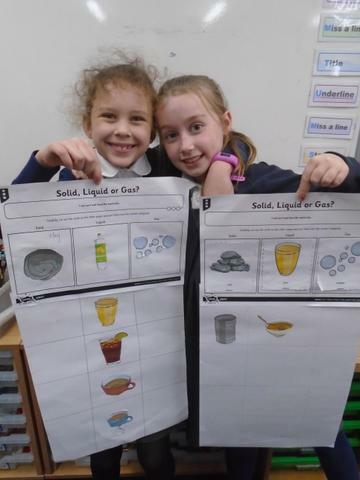 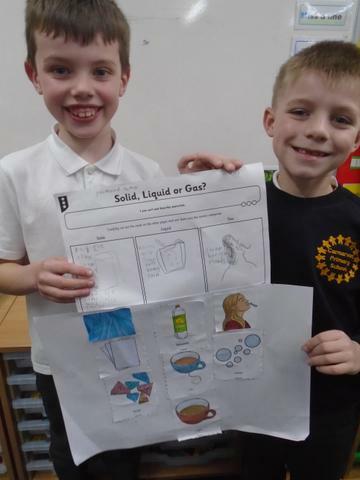 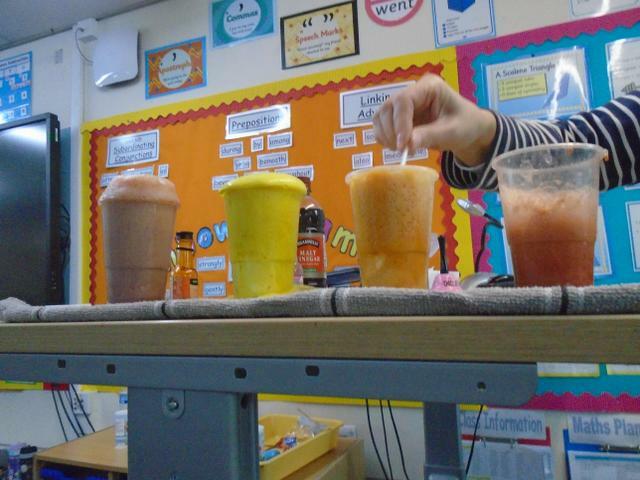 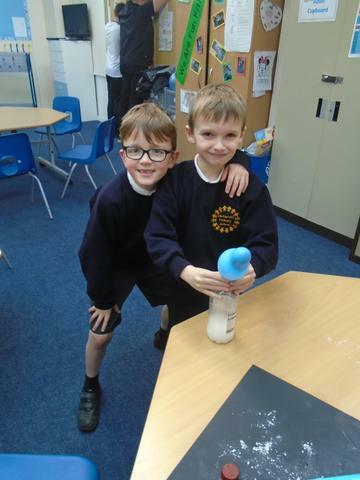 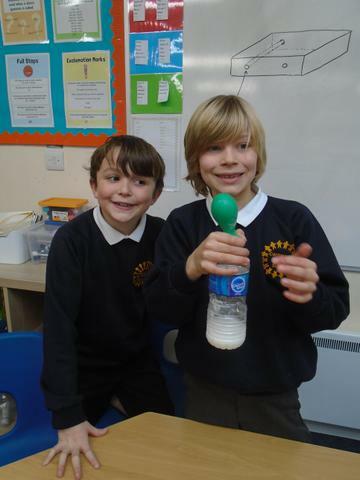 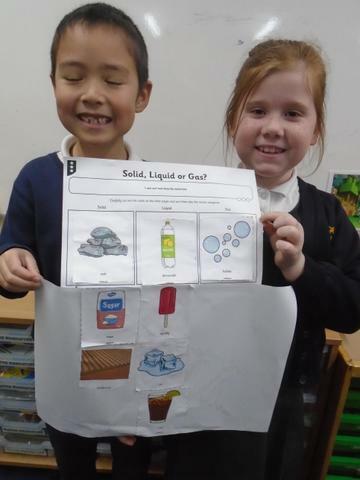 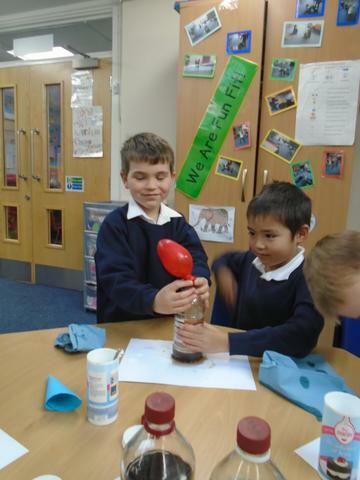 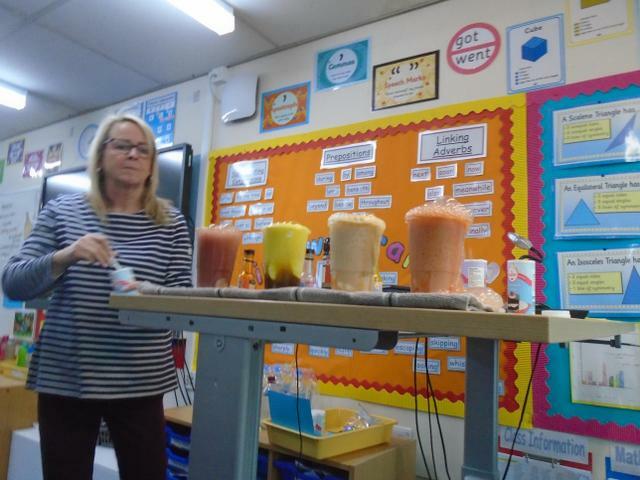 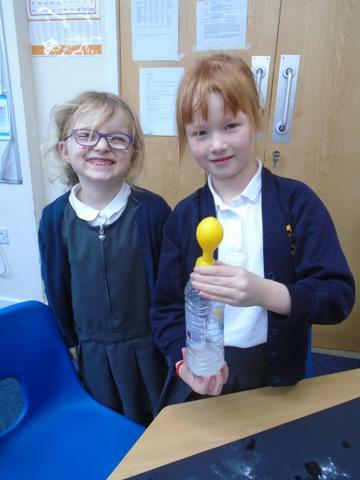 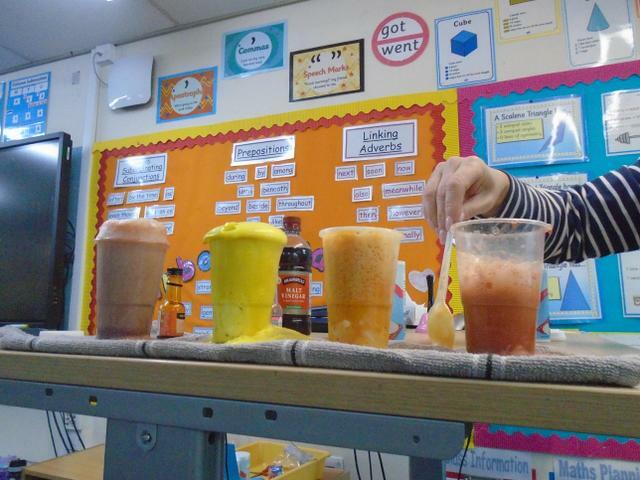 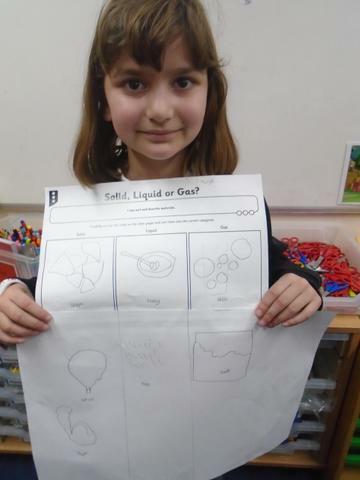 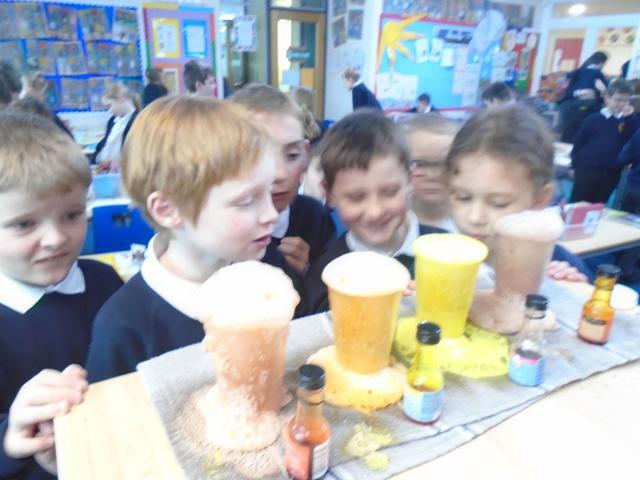 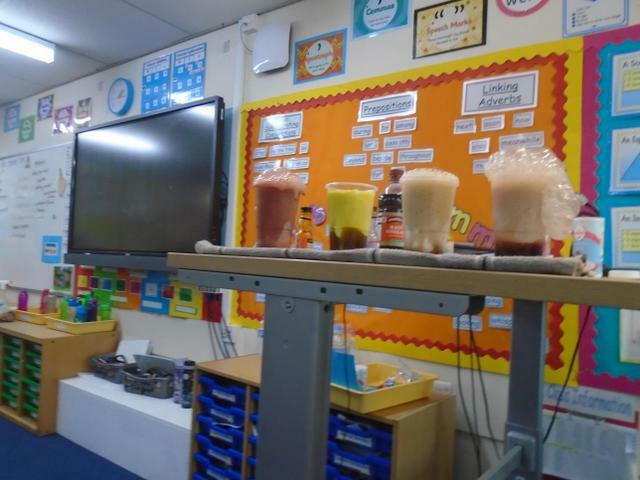 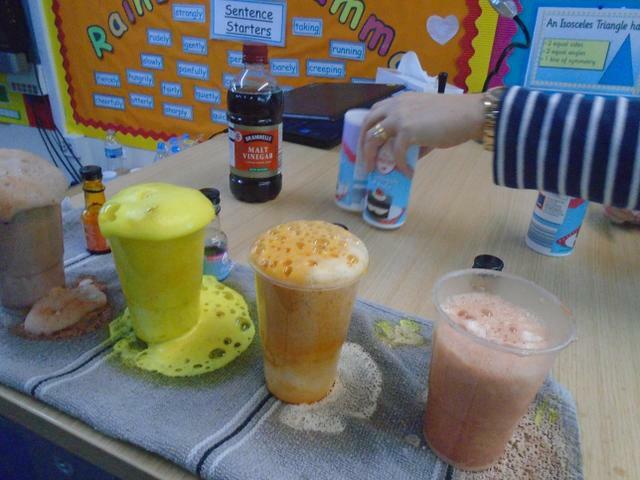 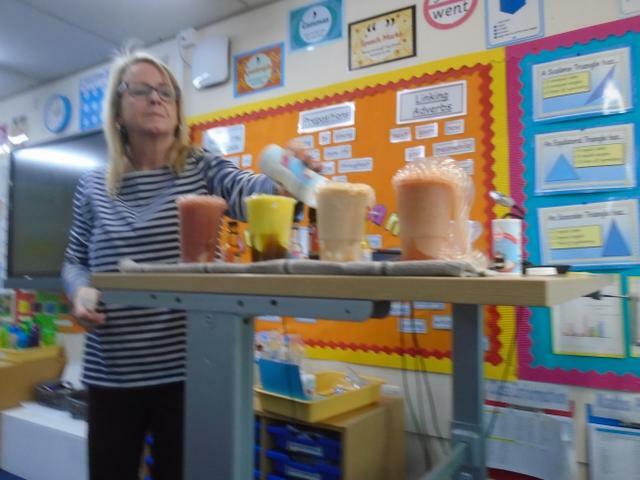 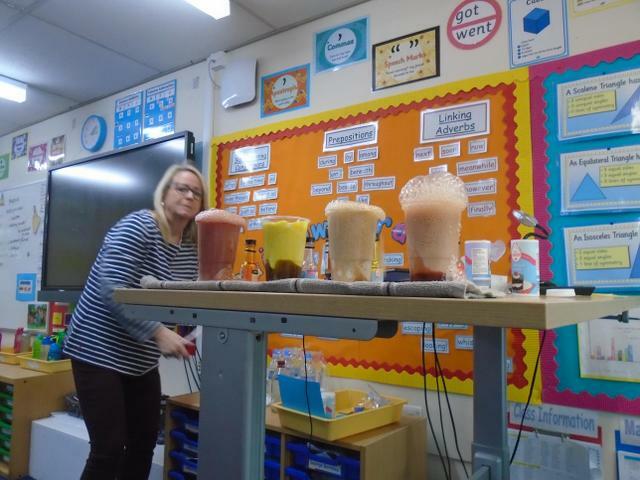 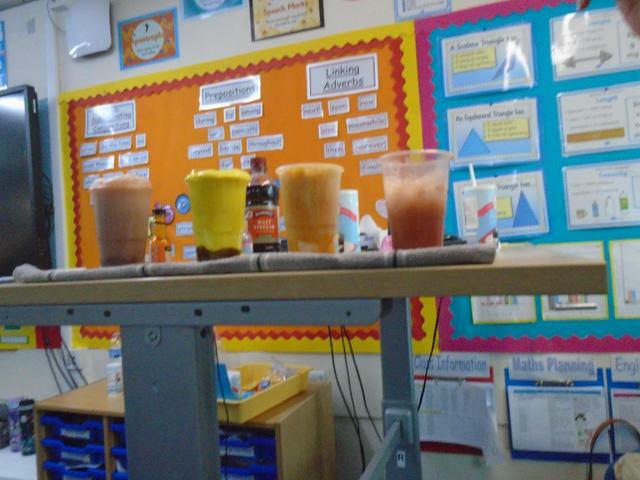 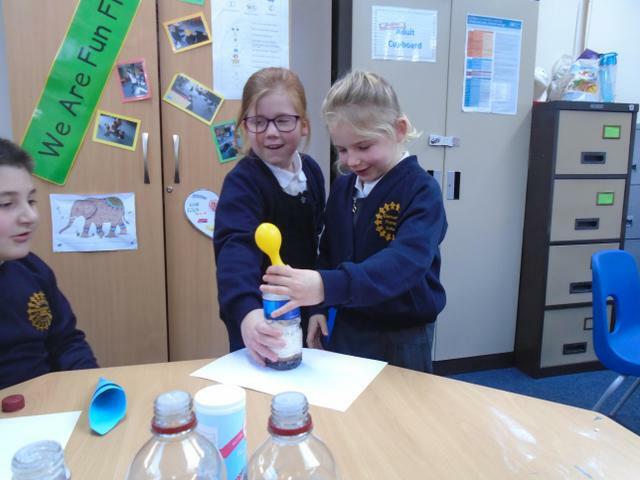 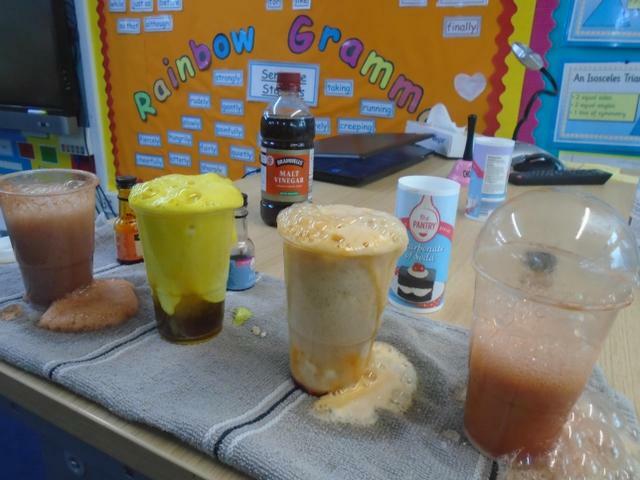 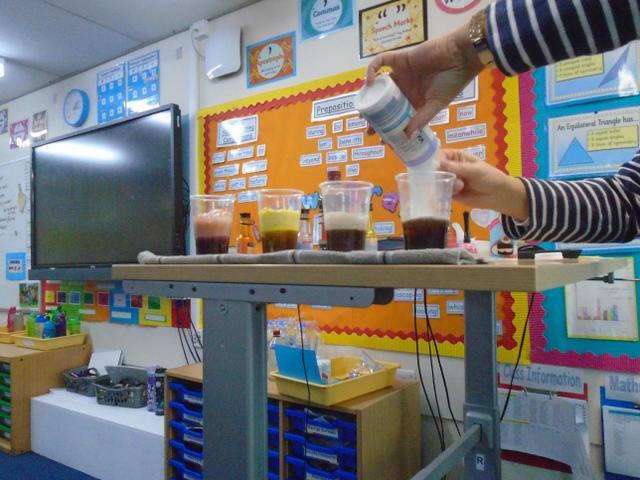 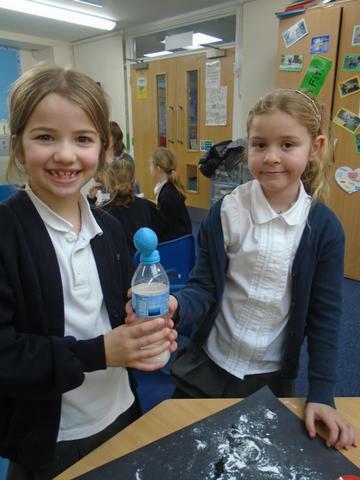 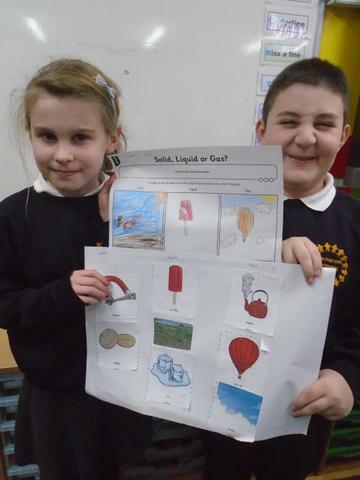 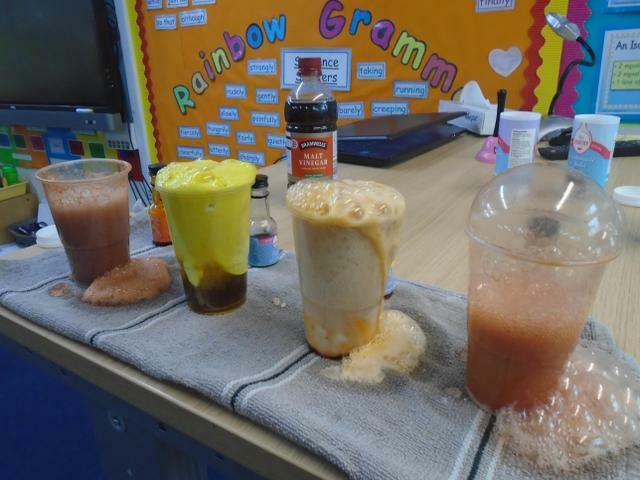 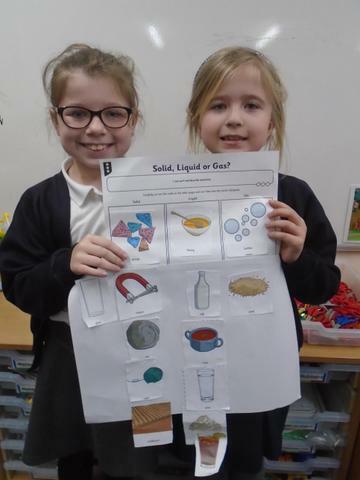 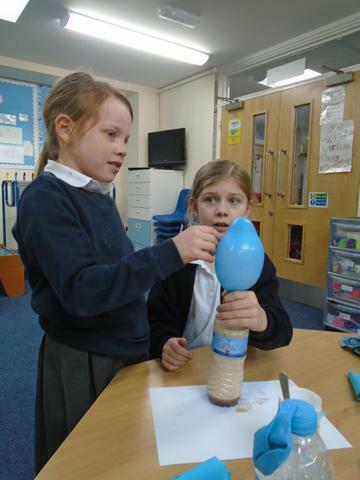 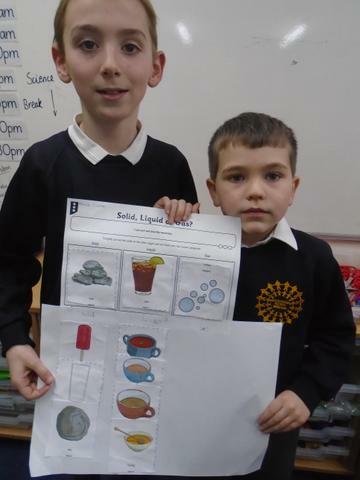 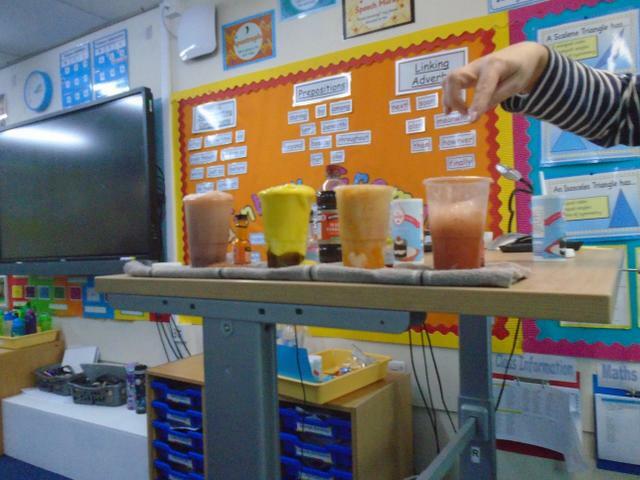 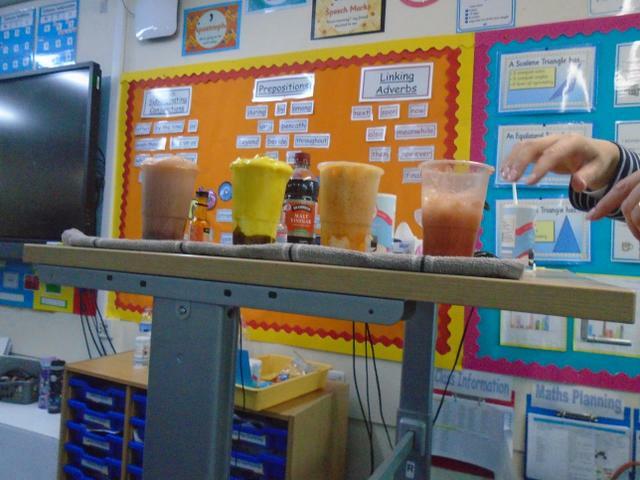 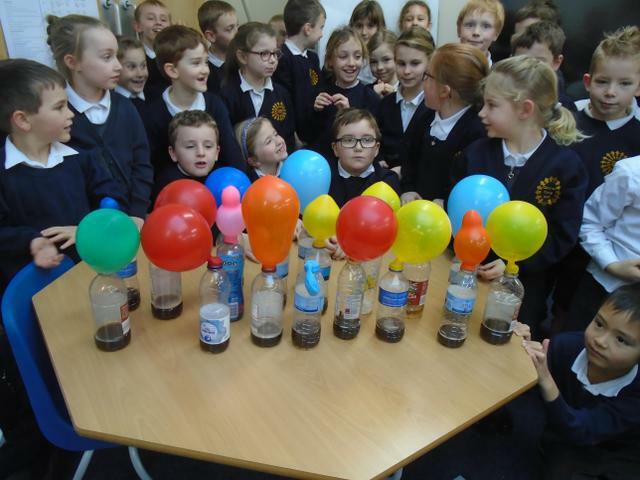 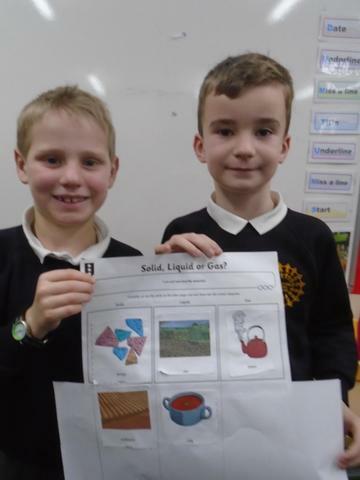 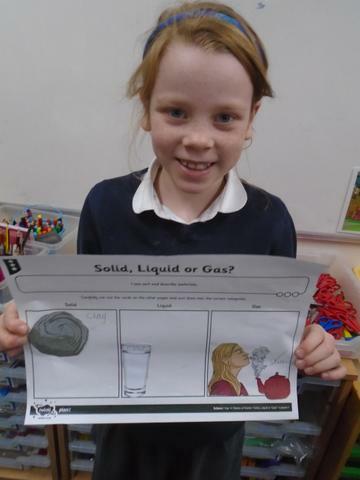 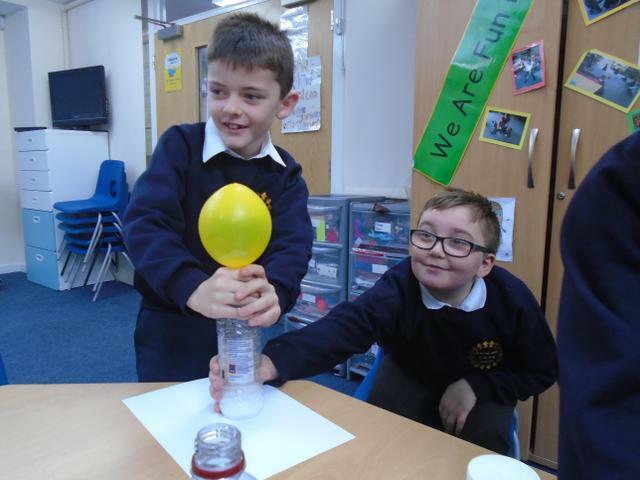 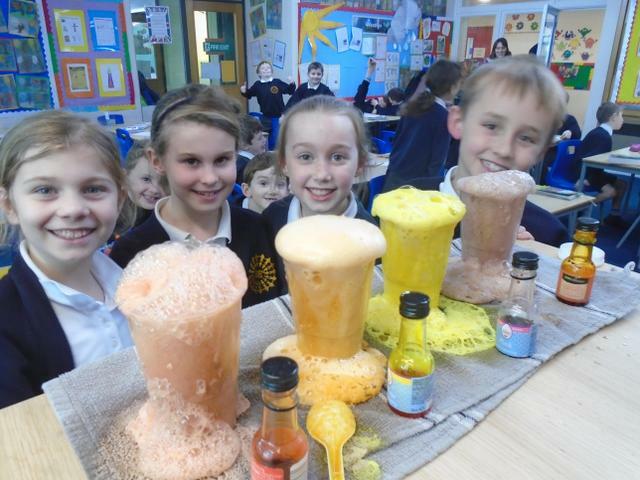 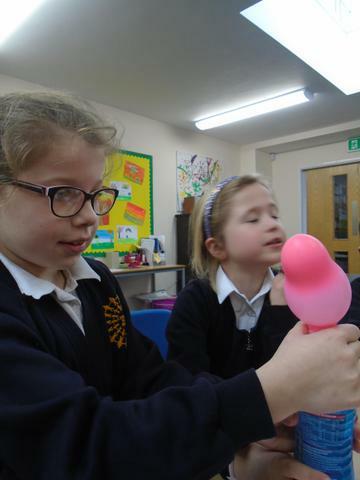 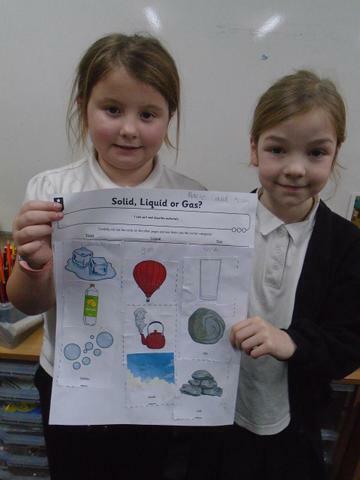 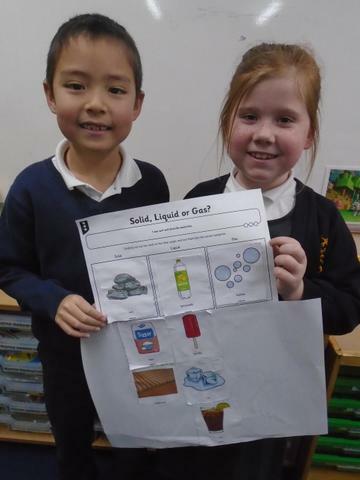 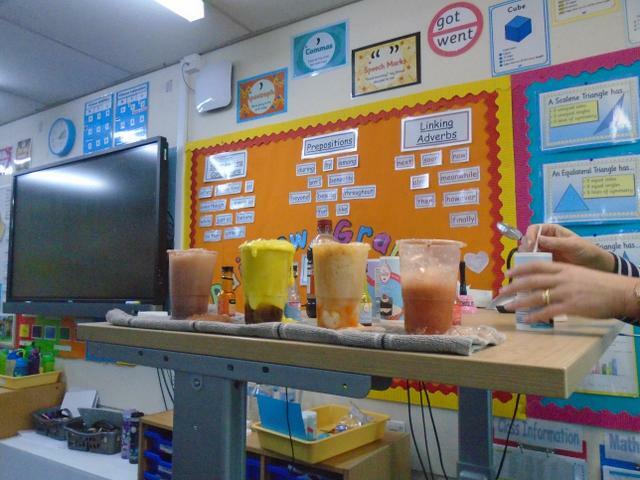 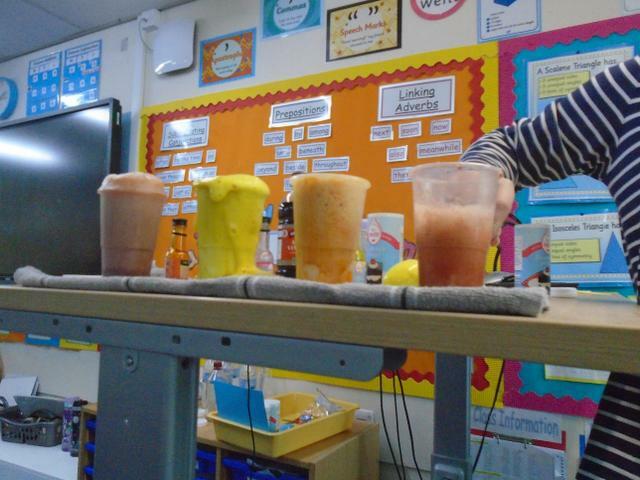 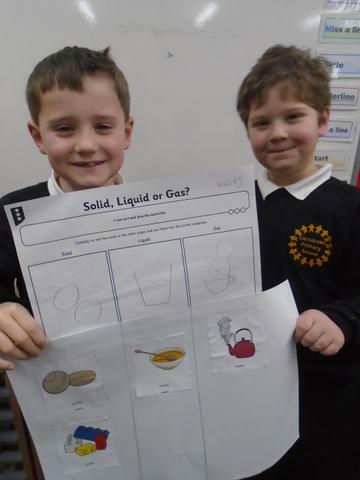 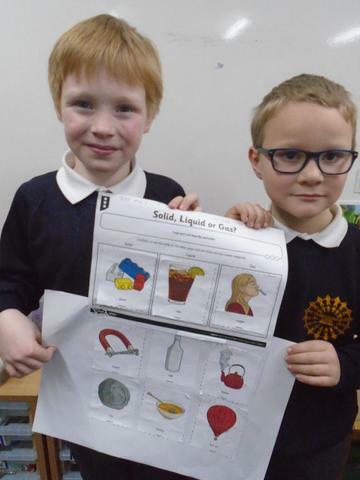 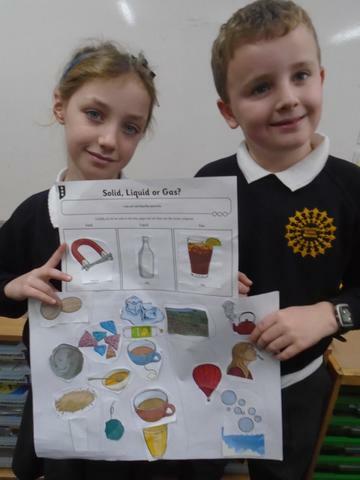 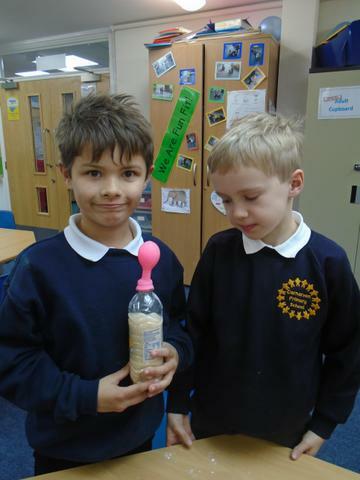 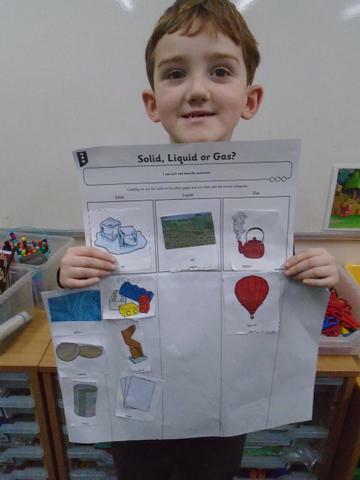 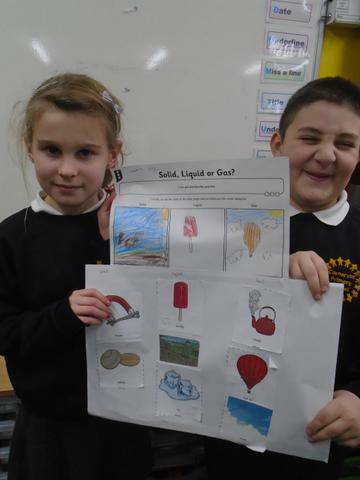 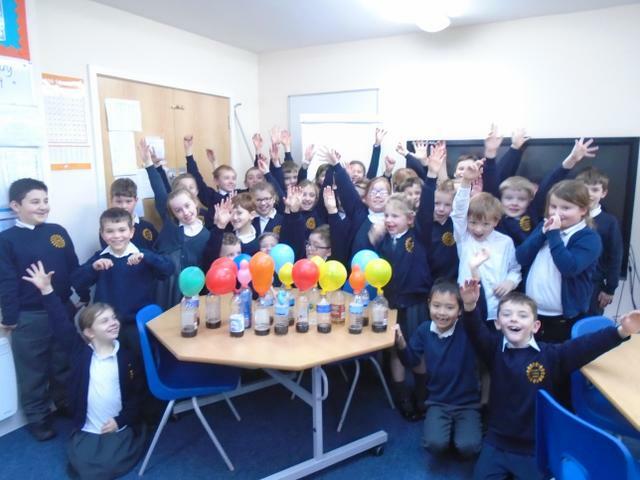 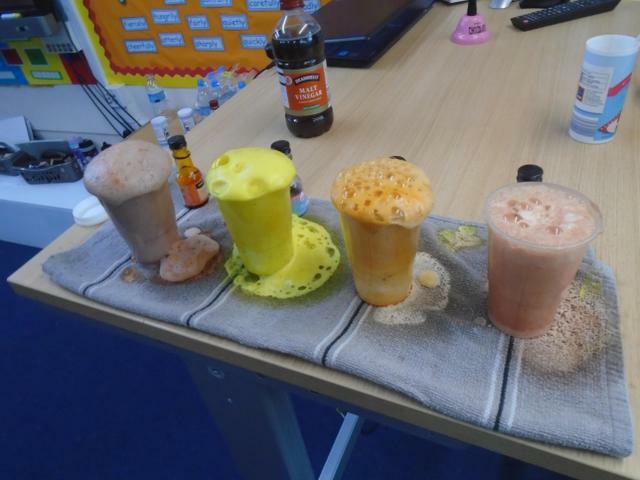 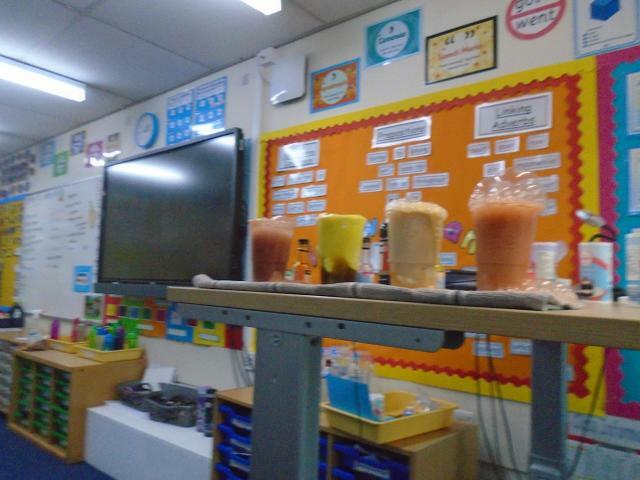 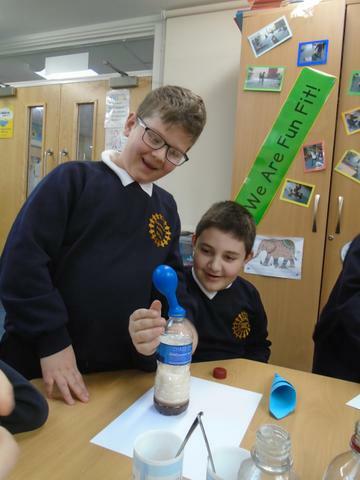 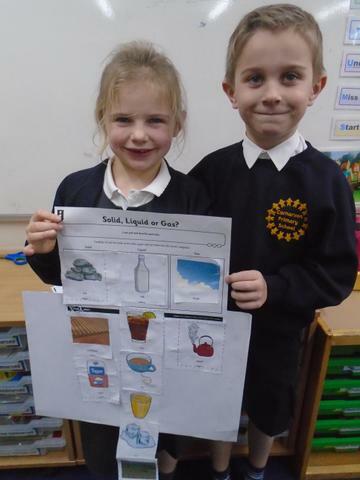 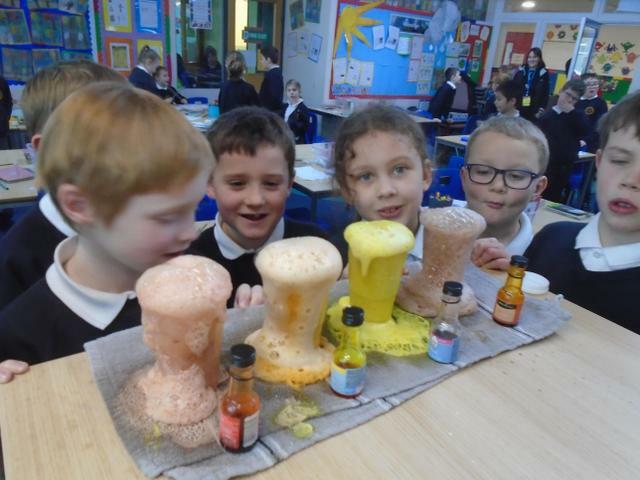 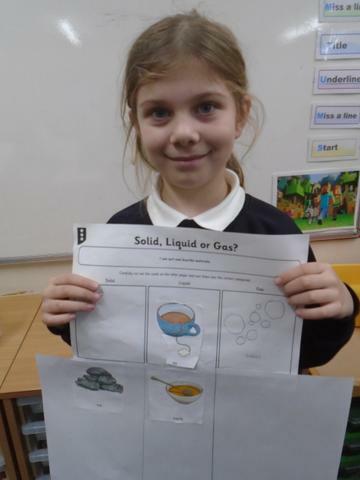 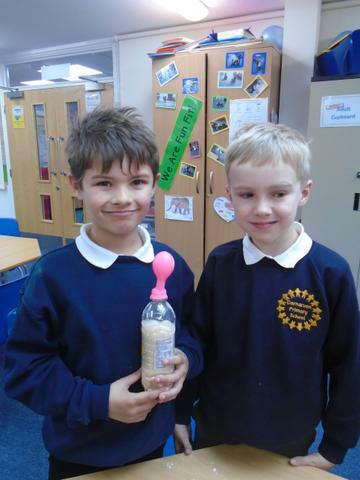 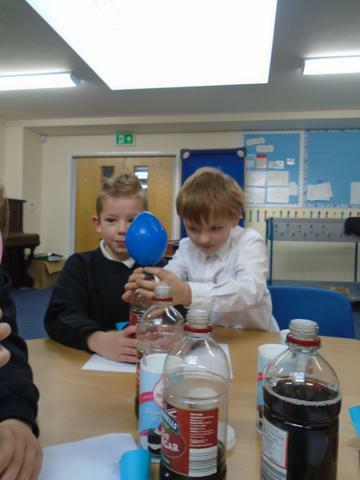 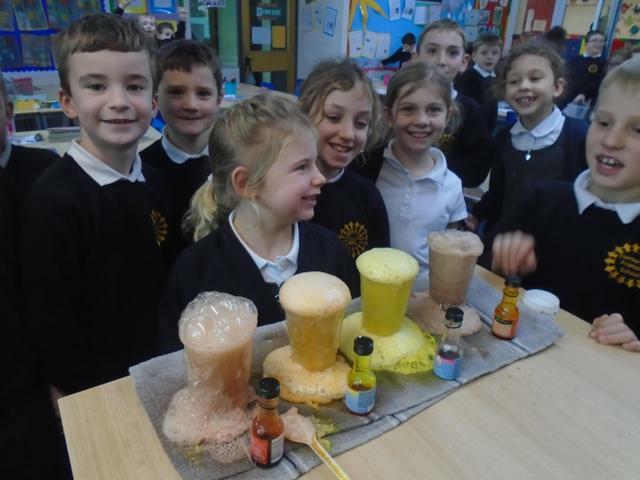 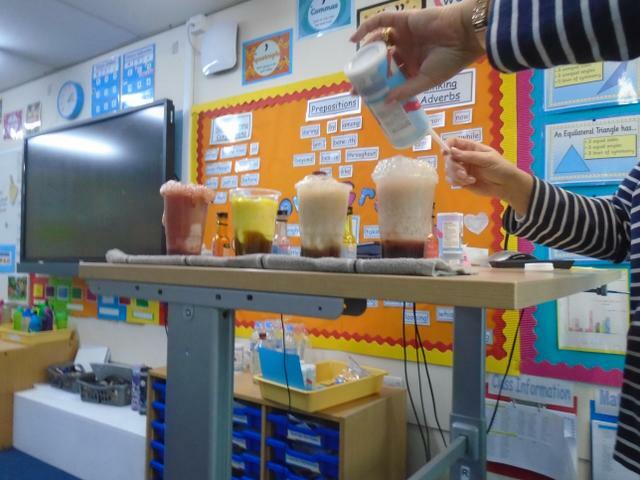 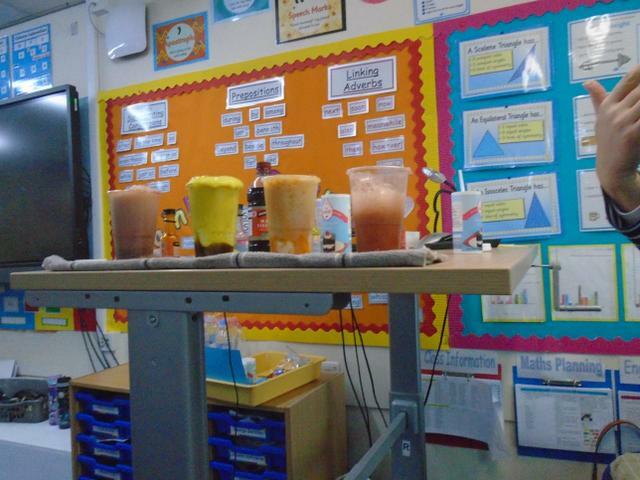 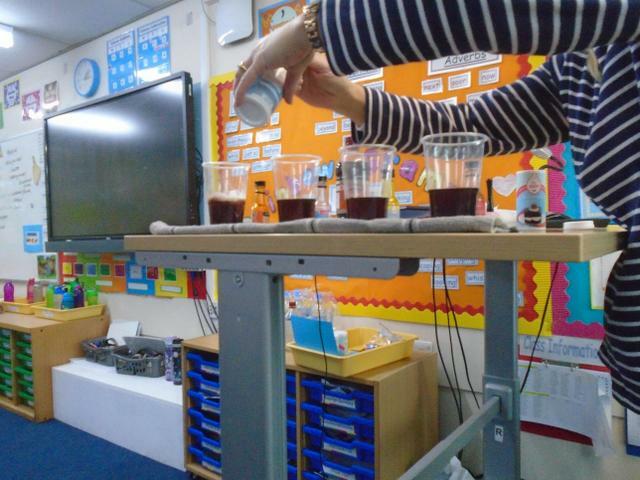 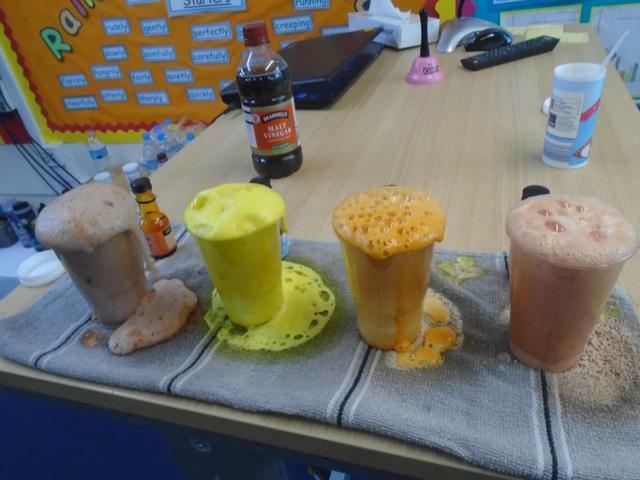 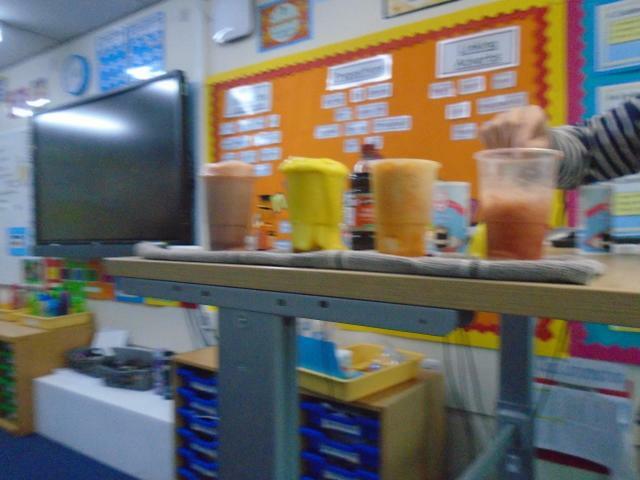 Year 3 children have experimented with vinegar and bi-carbonate of soda during a ‘Mad Science’ lesson. 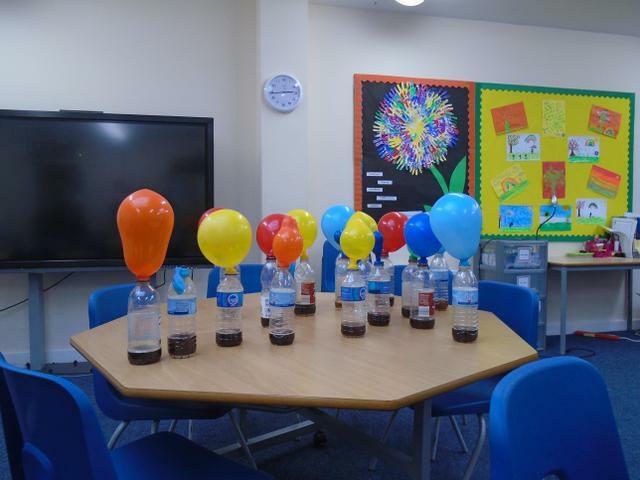 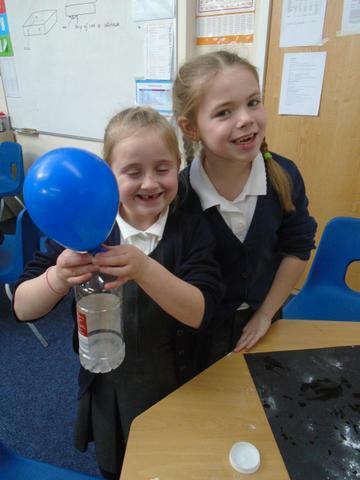 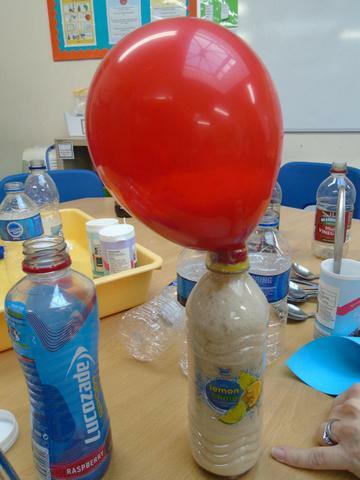 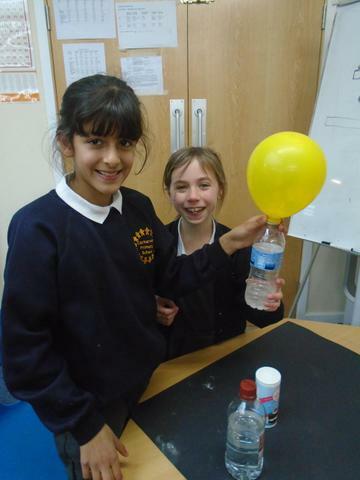 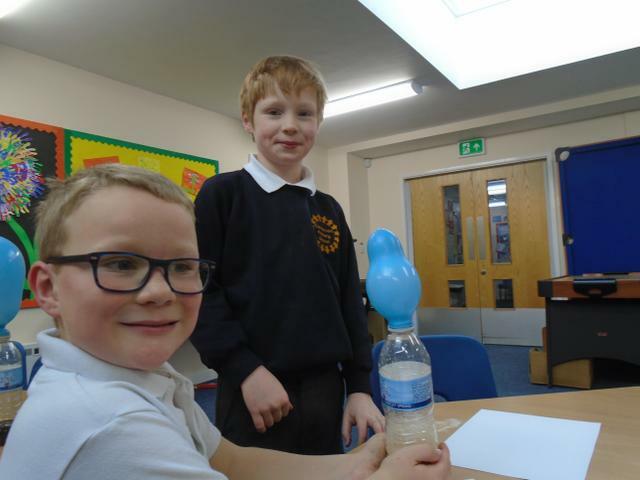 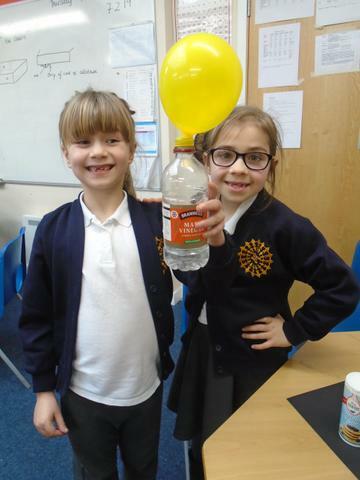 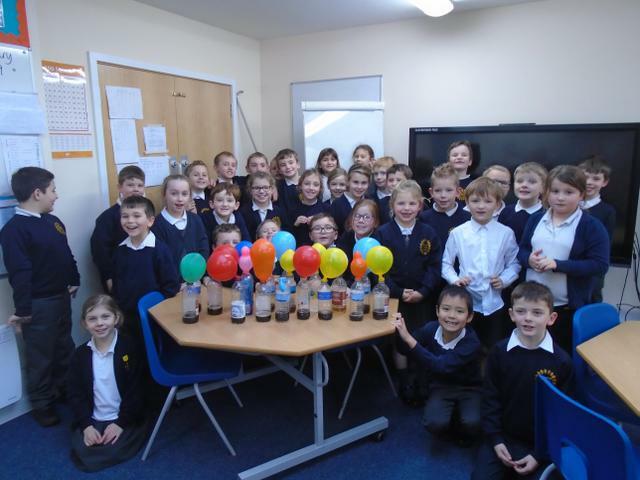 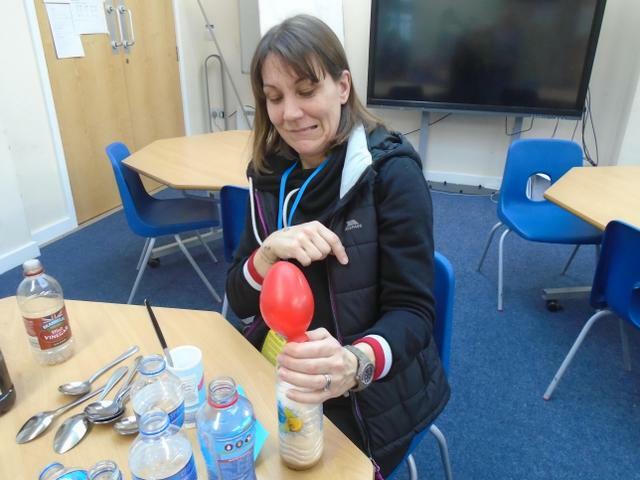 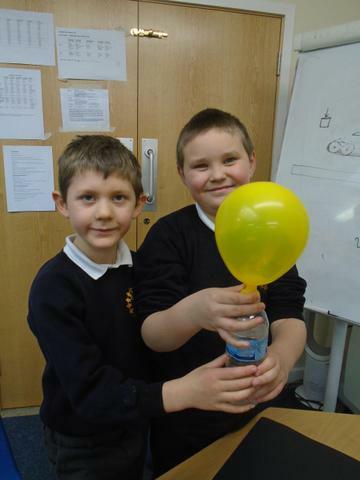 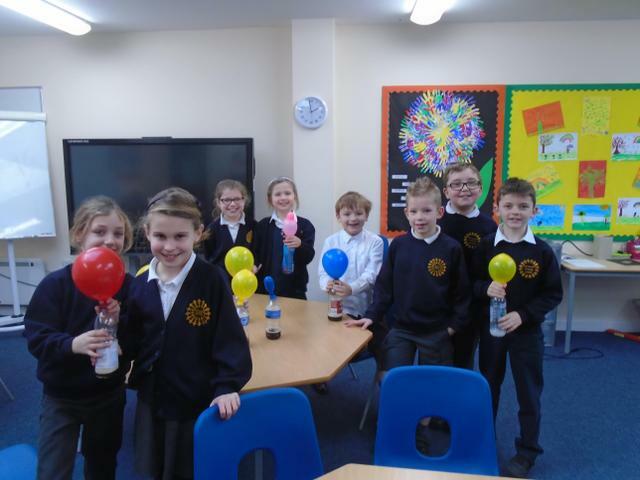 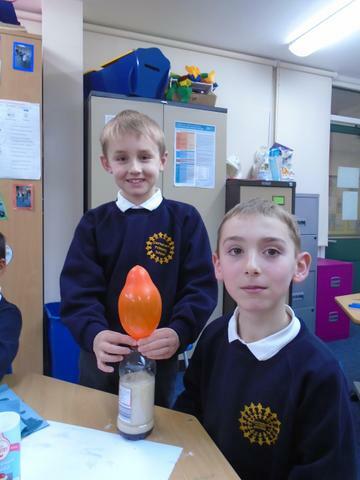 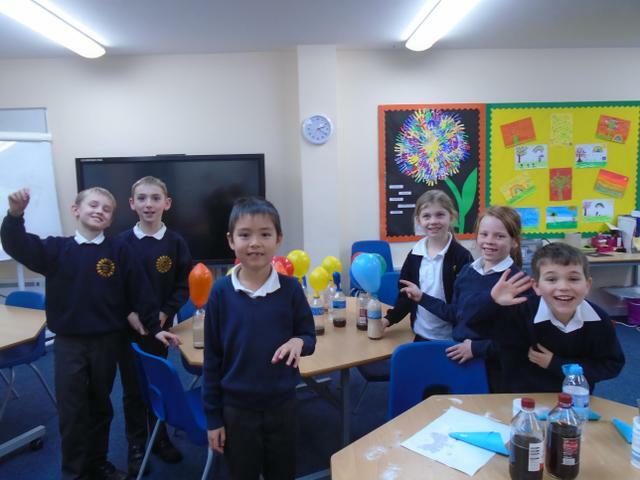 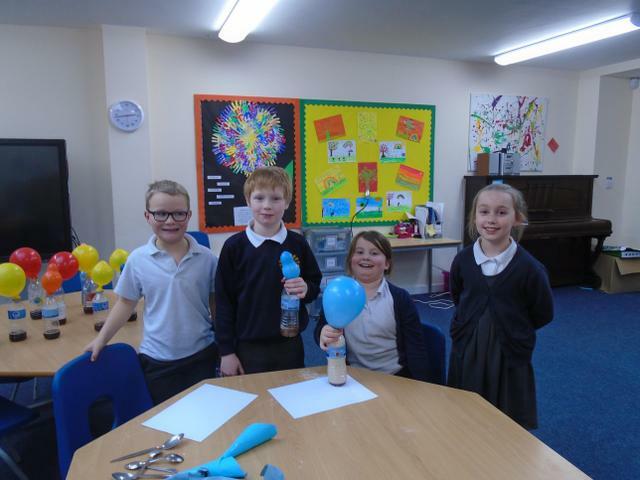 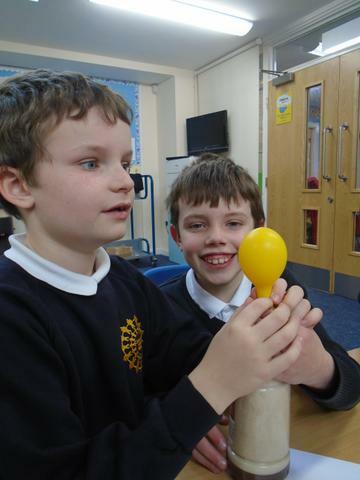 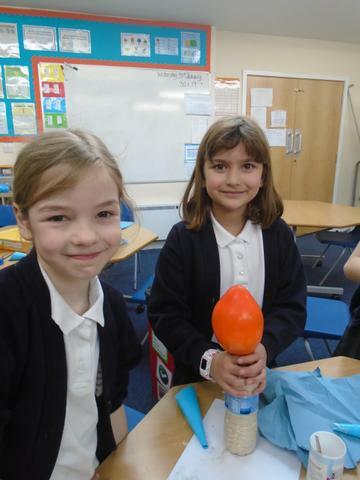 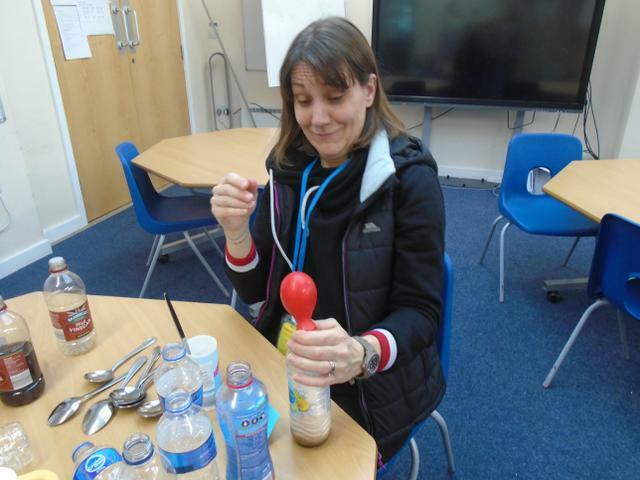 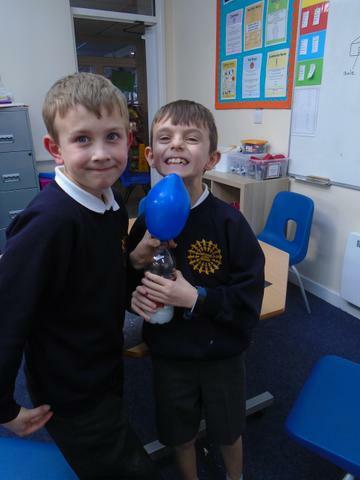 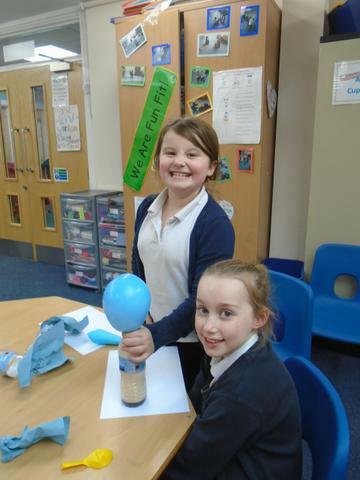 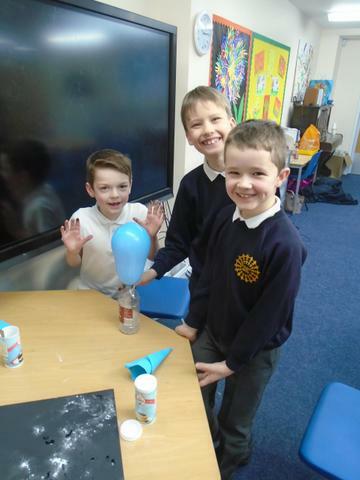 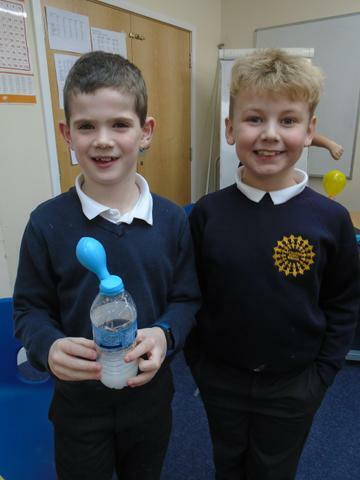 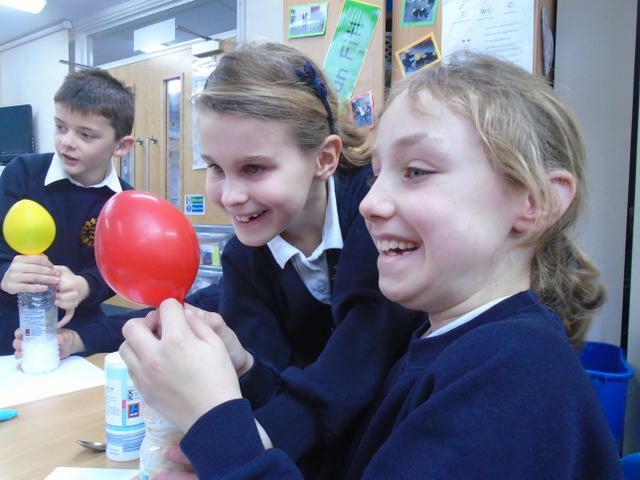 First, they used the ingredients with balloons to create carbon dioxide. 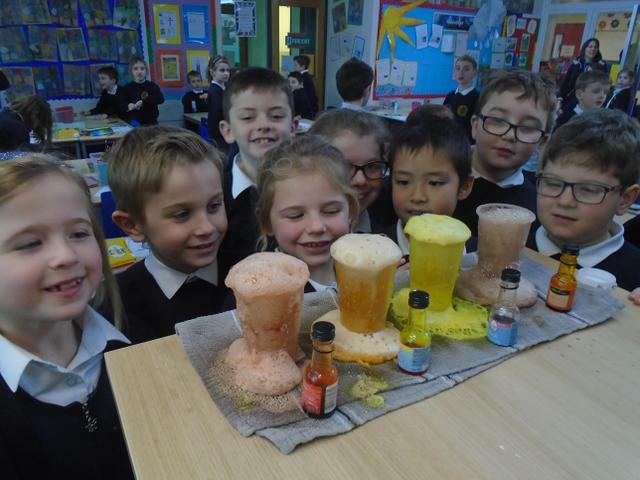 Next, they added food colouring to create volcanoes. 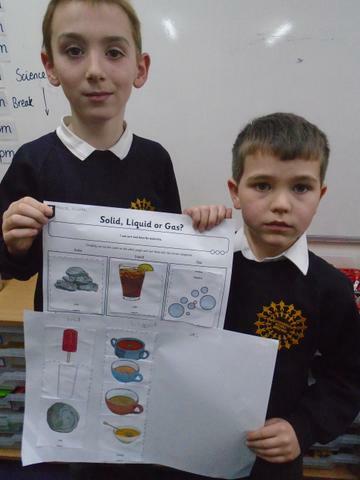 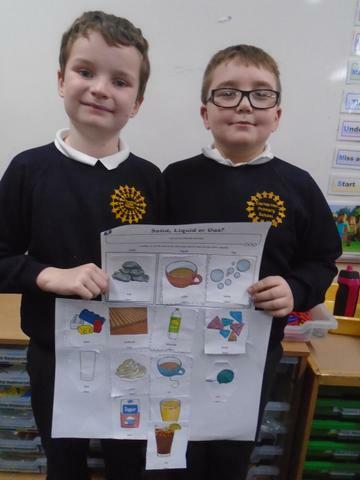 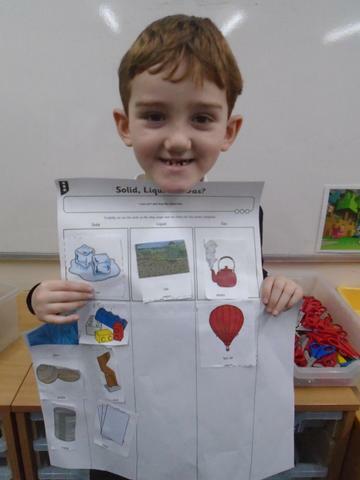 This is all part of their ‘states of matter’ science topic.